Start with your certification. Leave with your Master's. Apply your Certified Professional Technical Communicator – Foundation certification from the Society of Technical Communication for transfer credit toward a Master of Science in Technical Communication. Complete the form below to learn more about this one-of-a-kind path to a high-demand career in technical communications. 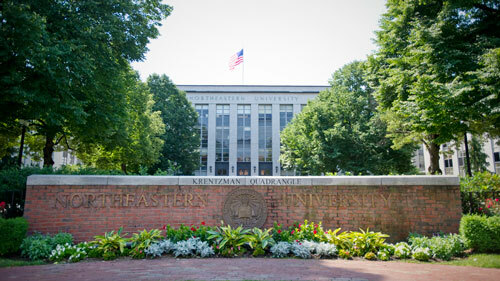 Why consider a graduate degree from Northeastern University? We recognize the knowledge and competencies demonstrated by those earning their Certified Professional Technical Communicator-Foundation through the Society of Technical Communication. As a result, Certified Professional Technical Communicators have the unique opportunity to accelerate through the Master of Science in Technical Communication program by applying this credential in exchange for transfer credit. Earn a master’s degree on your time. This program is offered 100% online, allowing you to align your coursework to your schedule while still maintaining an active connection with classmates and faculty members. Gain hands-on, real-world experience in UX design, technical writing, and instructional design through a capstone assignment or short-term project with a sponsoring business or nonprofit. Tailor your education to your personal interests and needs with one of our three concentrations: Usability/User Experience; Social Media and Online Communities; and Computer Industry Writing. Learn directly from industry experts, such as Julia Cho, the program’s senior lecturer and technical consultant, who has held technical writing positions at companies like Oracle and nSight. Number of new communications and digital media jobs expected to surface by 2022. Average salary increase for those with a graduate degree in communications and digital media. 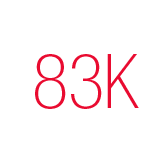 Number of prospective employers who value effective written and oral communication skills over any other competency. Discover how our technical communications degree can help change your career. Northeastern University’s technical communication degree program enables you to create the educational experience that best meets your career and life goals. Recognized as a top-50-research university, we offer a dynamic learning environment, fueled, informed, and inspired by professionally-oriented, hands-on study. Experiential learning. Industry-aligned coursework. Flexible study options. Our technical communication degree gives you access to a global network of faculty practitioners, corporate partners, distinguished alumni, and fellow students. Together, these form the cornerstone of a technical communication master's that’s innovative, yet relevant; practical, yet transformative. Northeastern University’s technical communication master's programs are designed to meet the demands of today’s high-growth industries, providing students with the skills needed to succeed in the modern, global workforce. Pursue powerful career advancement opportunities in technical writing and UX design through our global network of over 3,000 corporate partners. Directly and immediately apply what you learn from the technical communication degree to a pressing project in your own organization or through an experiential learning opportunity with one of our corporate partners. Explore our Technical Communication degree to see how technical communications and UX design courses can help you advance your career and life. It all starts here.